Well your reception is unlikely to get any frostier than this open air palace. 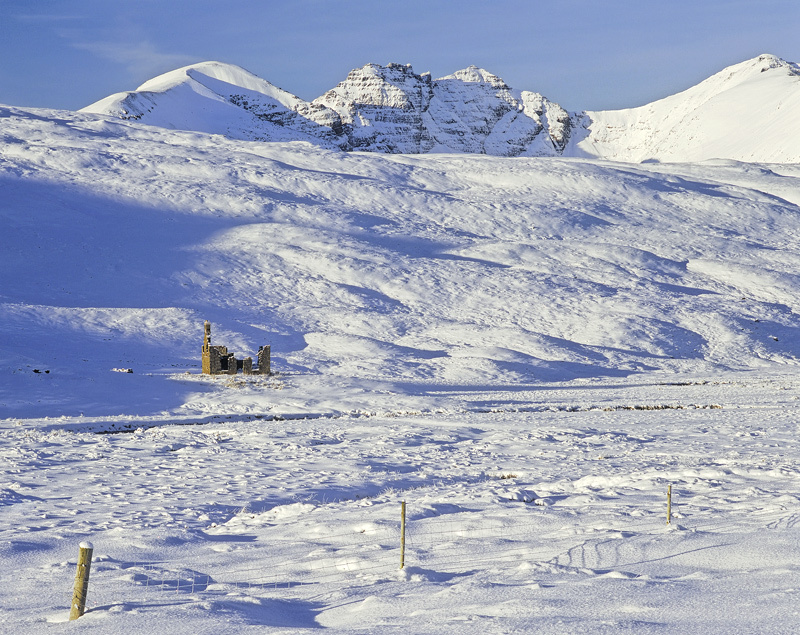 The view is spectacular with An Teallach's mighty shoulders pushing skywards shrouded in an ermine shroud of soft white snow beneath a lazer blue sky. A lot of folk, particularly photographers have a problem with blue snow in the shadowy areas, but that is after all exactly what one would expect out of direct sunlight and beneath a rich blue reflector. The blue adds a cold hue which complements the buttery warmth of the late afternoon sun falling on the gable end wall of the ruined bothy.